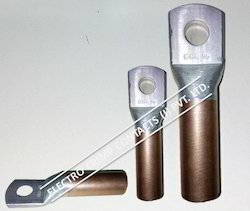 We are a leading Manufacturer & Exporter of Bi Metallic Lugs such as Reverse Bi-Metallic Lugs, Bi-Metallic Washered Lugs and Bi - Metal Tubular Connector (Bi - Metal Lugs And Connectors from India. We are among the industry veterans, presenting Reverse Bi-Metallic Lugs for our treasured customers. The offered lugs are dimensionally accurate and are manufactured using premium quality materials. 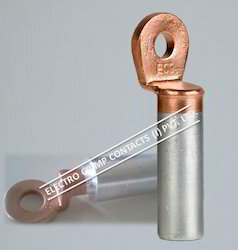 Their chemically treated surface is highly resistant to corrosion and abrasion. 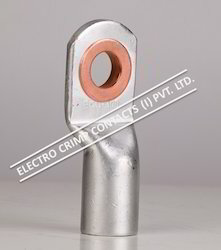 Customers can avail these lugs as per their requirements and at standard market prices. We are among the illustrious names in the industry, engaged in offering Bi Metallic Lugs for our esteemed customers. 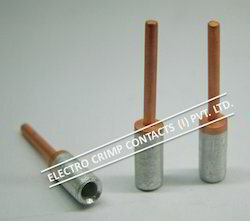 The offered components are extensively used in electrical applications and are widely patronized by the customers. We utilize premium quality materials and advanced technology in their manufacture to ensure the desired quality standards. These components are reasonably priced. Backed by our vast industry expertise, we bring forth Bi-Metallic Washered Lugs for our treasured customers. The offered lugs are manufactured in strict compliance with industry standards using premium quality materials and advanced technology. With their excellent resistance properties, these lugs are highly appreciated by the customers. Looking for Bi Metallic Lugs ?